Wok Master Chinese restaurant has two locations in Singapore, one at Westgate shopping centre (3 Gateway Drive) and another within City Square Mall (180 Kitchener Road). 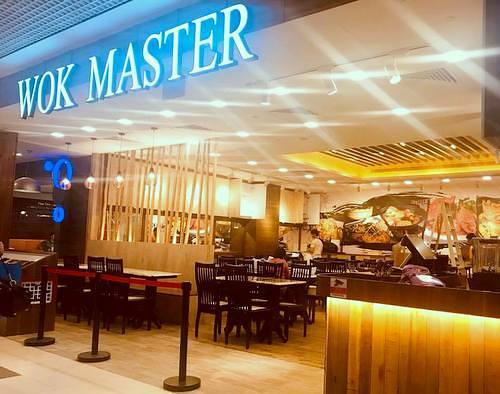 Serving “Zhi Char” food in an air-conditioned environment, Wok Master is one of the popular local places for great Chinese food and East-West fusion dishes. The menu features a range of Singaporean favourites, including Chili Crab, Black Pepper Crab, Salted Egg Crab, Curry Fish Head, Cray Fish Laksa, and many more at reasonable prices. A mainstay in Wok Master’s kitchen, the basic claypot is one of the secrets to how the restaurant is able to bring out the rich food flavours. This slow cooking method circulates heat and moisture better, resulting in, for example, the signature “Yi Pin Guo”, a potful of seafood deliciousness. From all-time classics such as Sambal Kang Kong to favourites like Salted Egg Pork Ribs, the dishes are also prepared using the wok to achieve culinary perfection. Wok Master’s official Facebook brand page is located at www.facebook.com/wokmastersg. Following the Facebook page, you’ll be among the first people to learn about Wok Master’s new menu items, promotions, events, and more.